New Frontier Innova (NF Innova) is positioned at the forefront of the mobile banking future and was recognized as a leader in IDC MarketScape 2017, with its iBanking Mobile solution. The most recent accomplishment for NF Innova is that it was named one of Top 25 Fintech Solution providers by CIO Applications Europe. They had the honour to present at the largest Fintech gathering in Europe – Finovate 2018 that was held from 6th to 9th March in London, where they showcased their highly innovative opti-channel platform and some of the advanced features it offers, like process automation, UX personalization and smartbot assistant. Smartbot assistant was developed by Saga, parent company of NF Innova and it is fully integrated in iBanking platform. We met with Vasa Šegrt, CEO of NF Innova, to discuss today’s client expectations, the most pressing challenges, and the solutions and competitive advantage that NF Innova brings to their users. eKapija: You were named one of Top 25 Fintech Solution providers by CIO Applications Europe. Can you tell us more about NF Innova? 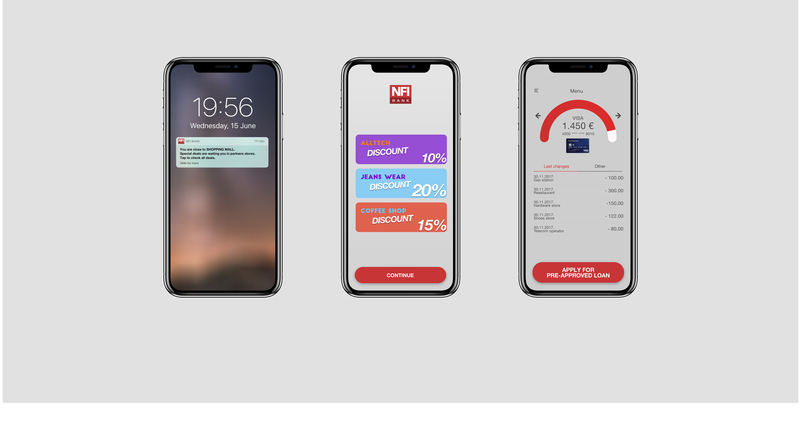 Vasa Šegrt: NF Innova is a member of New Frontier Group from Vienna, Austria, and is a leading digital banking solution provider, based in Serbia. Our business is focused on the development and implementation of the omni-channel platform, alongside internet and mobile banking solutions, native apps and various partner ecosystem solutions. NF Innova has a strong focus on Digital Banking by leading transformation of today’s prime financial institutions with its innovative iBanking platform. The mutual benefits are achieved through self-service across multiple omni-channels, immediate fulfilment and strategic consulting during the client’s transformation process, decreasing internal operating costs and increasing their revenue. This is not just a statement, because our achievements were acknowledged by one of the leading global providers of market intelligence and advisory services – IDC MarketScape 2017 who recognized us as a leader in mobile banking solutions for the iBanking mobile solution, and most recently CIO Applications Europe named us one of the Top 25 Fintech Solution providers. eKapija: How would you explain true digital banking? Vasa Šegrt: We are witness to a revolution in consumer expectations when it comes to technology. We all have to learn how to deal with customer space in a suitable way, the way they expect it. So, in its essence, True Digital Banking for us means customer-centric solution that provides the most convenient banking on each channel in place, respecting the environment which that channel implies. That is not a simple copy-paste solution but the solution that delivers a channel-specific experience. On the other hand, it can be a little challenging for the banks. Simple embellishment of the front-end does not do it. That may be a quick fix, but soon you realise that there is no value for the end user, you are just not getting the results you want. The data is piling up and you don’t have the means to handle it. True Digital Banking, from our point of view, is a strategic approach that implies a flexible back-end that can support frequent front-end upgrades, process automatization and digital products tailored for online. This can be a daunting thought for most banks but it will make banks more agile and ready to instantly address clients’ needs at the right time and on the right channel. eKapija: In which way new players and regulations influence traditional banks? Vasa Šegrt: The banking industry is being transformed and new players have been disrupting the financial industry even more in recent years. One stream is made up of non-financial companies from other walks of business, like Facebook, Amazon, Uber and Google, and the other are Fintechs, both interested in offering their signature products combined with financial services and products. Consumers expect things to happen instantaneously and traditional banks still measure time in days, months and even years, whereas Fintechs do it in seconds and minutes. But the position of traditional banks doesn’t have to be bad at all. They have the largest client base and, what is even more important, they have their customers’ trust that they have built over the years. Their success depends on how they will address those clients in the future and sustain their trust, how they will use all that potential in their hands. With the PSD2 regulation, banks will be forced to open up their customer data through an open APIs upon customer’s consent, and this will reshape the financial industry as we know it. That is where Fintechs step in, because they can help banks turn their business around with platforms they provide. eKapija: How can traditional banks benefit from using NF Innova solutions? Vasa Šegrt: Solutions that we deliver can help traditional banks take on a central role in this new partner ecosystem and be irreplaceable in the customers’ daily banking, as opposed to being just a banking utility. We can assist banks in leveraging API integration and their existing customer base, and deliver value by offering partner products on their own channels, thereby delivering customer value on owned channels. This will make them a desired partner for future business relationships with Fintechs and third party companies. So banks have to act and change quickly in order to collaborate with these third-party providers. Focus will be on big data and how to employ it, advanced analytics, AI, core and cloud banking, consumer digital experience. Banks can benefit from all the upcoming changes in regulations if they work together with these new players. Now that Amazon and Uber have openly started looking for banking partners it is high time for the banks to step up their game. eKapija: What benefits does your solution brings to your clients and their end users? Vasa Šegrt: Today’s consumers want solutions that make their lives easier and they expect it on every device they are using, adjusted to the environment that device provides. I can say with certainty that we bring a customer-centric solution that delivers convenience when doing business with banks. On the customer side, we enable personalized UX in terms of preferences of each target group – mass affluent, retail or corporate clients, as well as in terms of the channel of communication. This is easily manageable via admin panel and doesn’t require additional programming. Also, our platform enables seamless channel-hopping, enabling users to switch devices during the process without disrupting the flow of the action. With our platform we enable banks to easily manage a large number of clients from a single point of administration and provide consistency in communication on each channel in place, delivering the right information at the right time. For example, this is reflected in geolocation services that give customers an adequate product or sales push depending on their location. That means if the user is in a shopping mall, he will get a personalized message saying that he has a discount if he shops with a payment card of a certain bank which is a part of a bank ecosystem. This benefits all parties: the user, the retailer and the bank, each with the fulfilment of the set goal – cheaper purchase, product sale, card utilization. In order for a bank to give such quick response and provide adequate product, the background processes need to be automatized and products adapted for online, which is exactly the advantage of our platform. eKapija: Does NF Innova offer finance management tools on its platform? 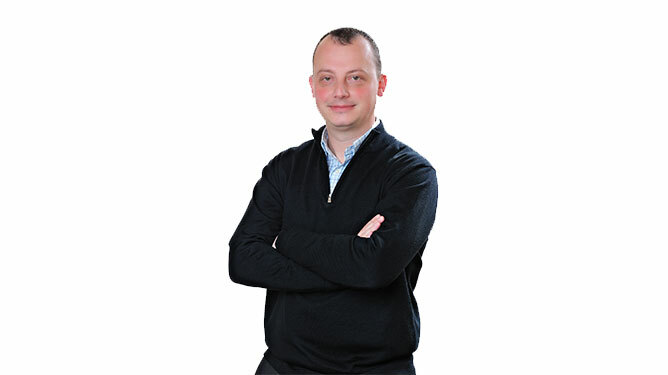 Vasa Šegrt: Yes, we offer features such as smartbot or personal finance manager to assist users with their queries or in handling their budget. Everything is powered by our highly innovative omni-channel platform with centrally stored data gathered from each channel, channel synchronization and single point of administration, enabling agile response, so if a user makes a change on one channel, that information is instantly available on all other channels. eKapija: Who are your clients? Vasa Šegrt: We have made partnerships with the leading banking institutions in Europe and our plan is to expand the business to the Middle East, Africa and North America. The subject of these partnerships is the implementation of our omni-channel platform as well as continuous enhancements. We have implemented internet and mobile banking solutions for all target groups – retail, private or corporate clients, depending on the banks’ current requirements. The banks that we are cooperating with in Serbia are Raiffeisen Bank, Banca Intesa, Societe Generale, AIK Bank and Piraeus Bank, as well as 14 more banks in the EU, Russia, Southern Europe and the Middle East. eKapija: What are your plans for the future? Vasa Šegrt: We have already started to expand our business to markets outside of Europe and our plan is to continue this expansion globally. We believe that our solution and product level have reached maturity and quality suitable for the most prominent clients in the most developed markets. This was confirmed in the previous year when we were awarded all the major EMEA region tenders among bids from the leading vendors in the industry. In addition, we will continue to innovate and upgrade our solutions, embracing the emerging trends in the financial industry (PSD2, Open Banking, Blockchain, AI…).